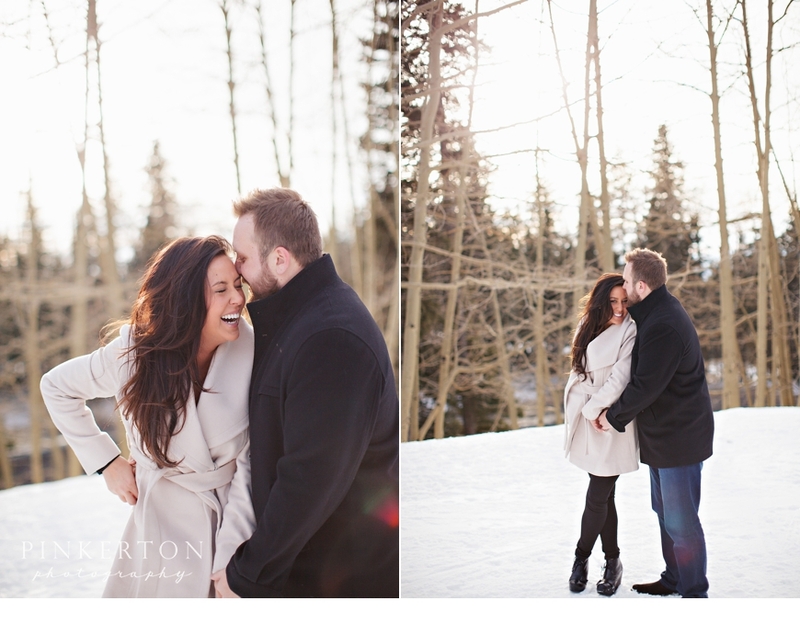 When Paige told me she was picturing photos of them all bundled up in the snow I practically did a happy dance. 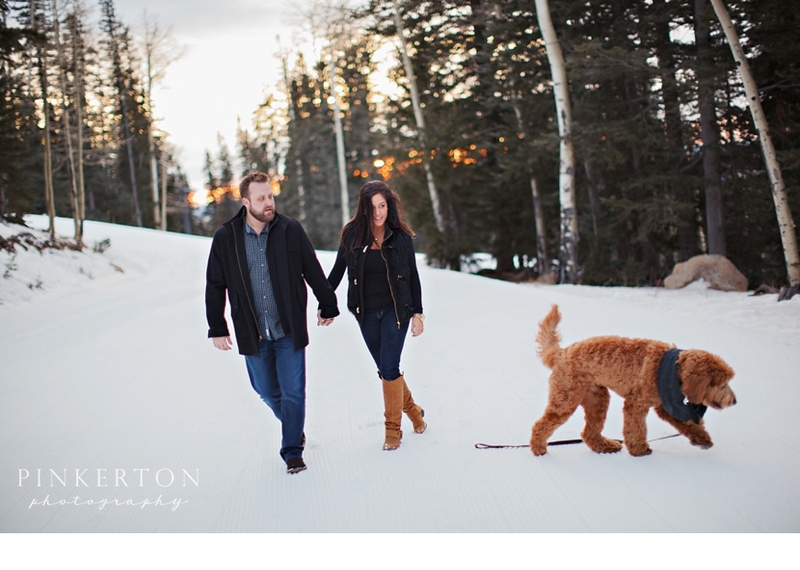 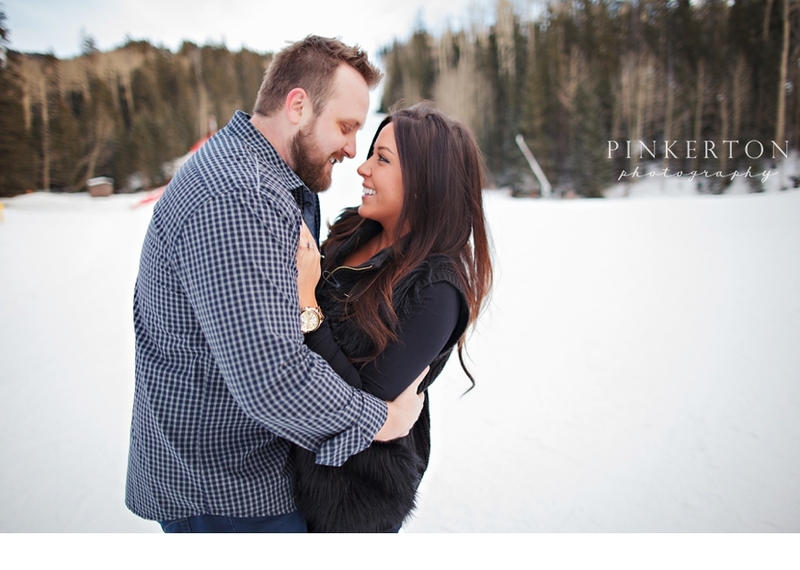 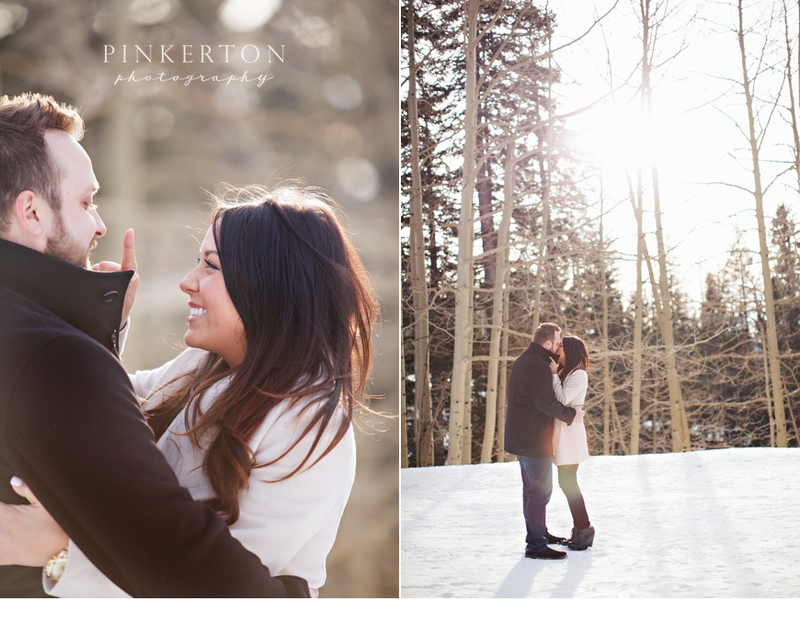 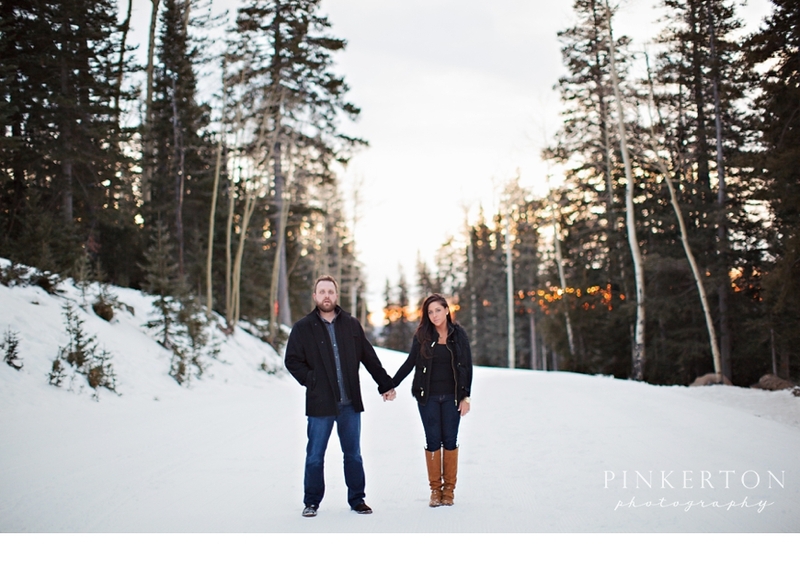 There wasn't much left in Flagstaff, but in the end a snowy engagement session it was! 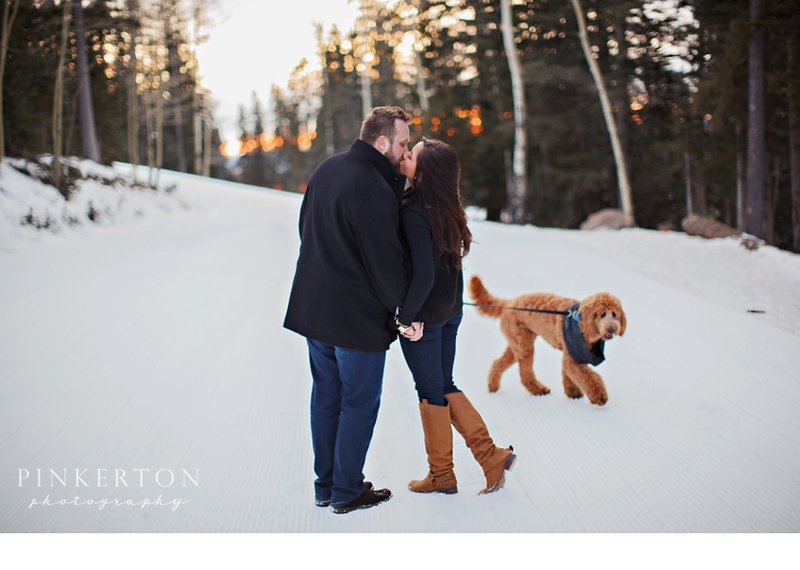 These two are so playful & cute - add in Captain the dog, Paige's hilarious cousin cracking them up, some gorgeous light, and you've got perfection! 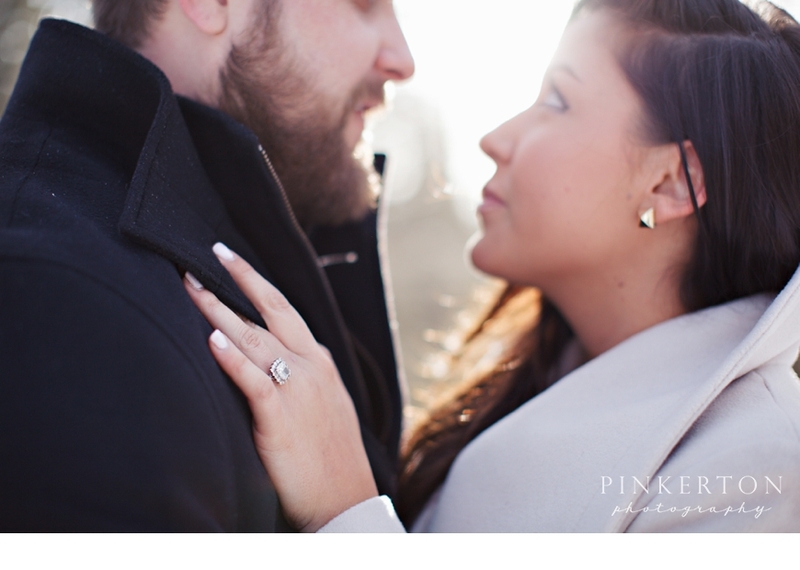 Paige & Tim, you were totally worth losing all feeling in my fingers :).